Made for housing large travelling parties, Tawantok Beach Villas offers 10 bedrooms spread out across a sprawling beachfront compound. Featuring all the essentials of a luxury property - like immaculate service, ultimate privacy, direct beach access and a full range of modern amenities - guests at this finely appointed residence are well-primed for an unforgettable island holiday. Featuring 10 bedrooms in total, Tawantok Beach Villas is ideal for housing groups of 20 (extra beds may be set up at additional cost). With wood panel flooring, cream-hued walls, accent chairs, vanities, quality linen and block out curtains, each room ticks all the right boxes when it comes to facilitating rest and relaxation. An en suite outfitted with an indoor-outdoor shower or bathtub, vanity and toilet extends out of each room. Both villas enjoy private infinity pools located just a skip away from the beach. Palms and foliage dot across the neatly manicured lawn, with stone steps connecting the different living spaces together. Recliners, set under the shade of patio umbrellas are plonked down in a row by the pool to provide the best seats in the house for an uninterrupted sunset show. Covered areas spread across the grounds allow for incredible al fresco dining experiences. Tawantok Beach Villas may give off a stylish, ultra-luxe vibe - yet it retains a warm, inviting ambience that’ll make right at home. The capacious common areas ensure that large groups are comfortably accommodated - whether they’re relaxing in the lounge, enjoying dinner parties at the dining area or catching up on their favourite films indoors. There are also cosy little nooks for private relaxation, like the wood panelled mezzanine kitted out with loungers. Daily breakfasts, along with private chef, manager and concierge services are included with your stay. A baby cot and high chair are available at request. Services charged at additional cost include: villa pre-stocking, chef services on stays with late or early check in/out, activities and excursions, cost of groceries, vehicle rental, airport transfers, in-villa spa treatments and babysitting service. The remoteness of Lipa Noi offers a serenity you’d be hard-pressed to find elsewhere on the island. 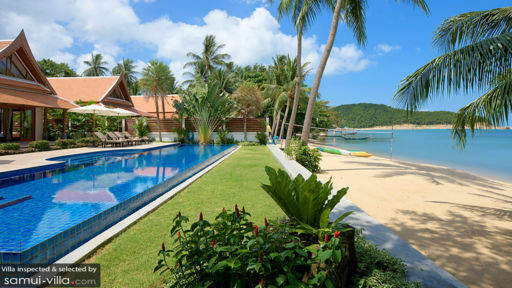 The villas located right in front of Lipa Noi Beach offers a laidback atmosphere swathe of fine, white sand. 13 minutes’ drive away is Nathon Night Food Market. Bustling with crowds and a vibrant energy, the market is a great way to discover the local shopping and street food scene. If you’re looking to unwind, Baan Thai Spa by HARNN (nine minutes’ drive) - with its cliff top setting and luxury spa rituals - is nine minutes’ drive away. 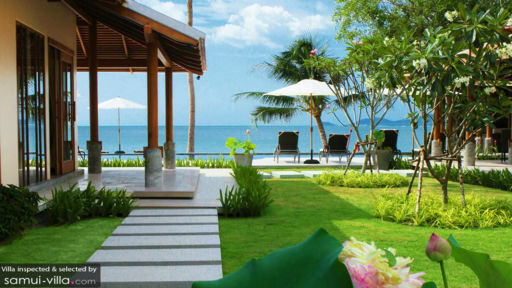 There’s also Marga Yoga (11 minutes’ drive), a restful retreat that offers group yoga and meditation classes. While Lipa Noi doesn’t offer much in terms of entertainment or dining, the surrounding towns make up for this with its variety of restaurants and beach clubs. Head over to Nikki Beach Club for sundowners and a fabulous Sunday brunch. Air Bar, a plush rooftop cocktail lounge is nine minutes’ drive from your villa. The Five Islands Restaurant, The Island View Restaurant and The Virgin Coast Restaurant are some of our favourite venues for beachfront dining. From the seafront at Tawantok Beach Villas, you can look across and see Ang Thong Marine Park and the mainland of Thailand. You may also see the Raja Ferry pass by, whereby locals commute from Koh Samui to the mainland. The ferry serves as a gentle reminder that, as you enjoy your tranquil and Zen-like surroundings, others are traveling to and fro in a busy parallel universe. 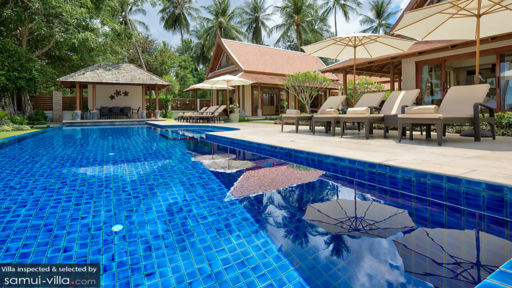 Sit back and take time to enjoy the invigorating Thai sun at Tawantok Beach Villas!